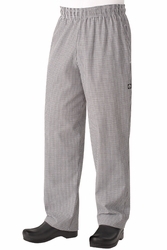 The Black and White Check Baggy Chef Pants are the roomier, easier to wear alternative to the Classic Kitchen pants. 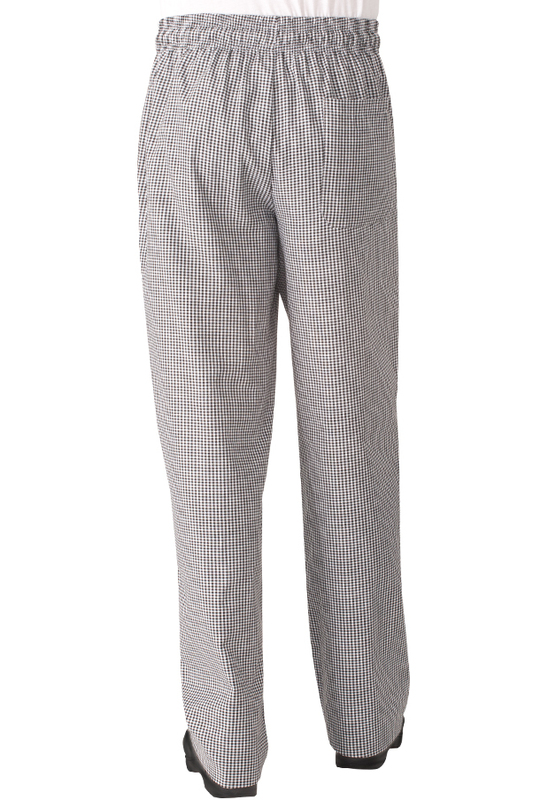 They are constructed in a 7.4 oz yarn dyed soft poly cotton and require very little maintenance- no ironing required !. They have extra space on the waist and hip and have a tapered leg with two inset side pockets and one back patch pocket. They have an elastic waistband with drawstring.